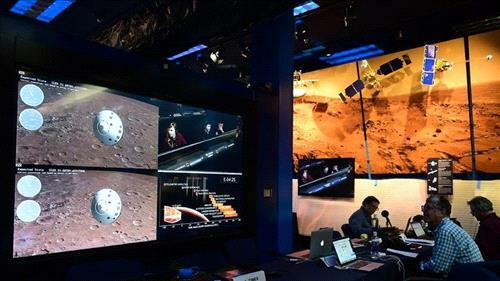 AMMONNEWS - NASA’s Mars science lander InSight touched down safely on the surface of the Red Planet on Monday to begin its two-year mission as the first spacecraft designed to explore the deep interior of another world. The 880-pound (360 kg) InSight - its name is short for Interior Exploration Using Seismic Investigations, Geodesy and Heat Transport - marks the 21st U.S.-launched Mars mission, dating back to the Mariner fly-bys of the 1960s. Nearly two dozen other Mars missions have been sent from other nations.